The Food and Drug Administration (FDA) has initiated a proposal that would reclassify Electroconvulsive Therapy Devices (ECT) from its highest risk category III to allow electric shock machines to be utilized in the treatment of specific alleged mental illnesses with less regulatory controls. This is despite the federal agency’s admission that the ECT device has not been proven safe and effective. To date, nearly five million Americans have received ECT “treatment” without ECT manufacturers being required to submit valid scientific evidence, such as clinical trials, of the device’s safety or effectiveness. The proposal has reignited a firestorm that the FDA has colluded with the American Psychiatric Association (APA) to promote a dangerous treatment and protect the fiscal concerns of APA members rather than protect patient lives. It is no secret that the FDA has procrastinated for more than five years over this proposal after first entertaining the idea of reducing the device’s risk category in 2009, when it requested public input on this. At a public hearing in January 2011, it was heard that nearly 80 percent of the respondents and a further 92 group submissions representing more than 6000 individuals, were against reclassification. The manufacturers have never been required to provide a Premarket Approval application (PMA) with clinical trials to prove the device is safe. In 1990 and 2009, the Federal government required the FDA to either reclassify Class III medical devices or ensure manufacturers submitted PMAs if they remained in the high risk classification. ECT device manufacturers have failed to submit any PMAs. Reasonable assurance? Probable benefit? Sounds very like psychiatry’s unproven, but lucrative depression “may be due to a chemical imbalance” theory, used to reap profits in the tens of millions of dollars in antidepressant sales, just as psychiatry already has profited from ECT’s $1.2 billion a year industry. 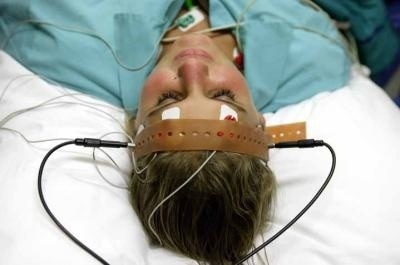 The health risks associated with ECT include the following: Death may result from various complications of ECT; there can be cardiovascular complications; cognition and memory impairment; the device can malfunction which may cause electrical hazards, such as prolonged seizures and skin burns; physical trauma; prolonged or tardive [latent] seizures; and pulmonary complications. But what exactly is the possible harm…what are the “significant” risks mentioned by the FDA? Cardiovascular complications. The induced convulsions may be accompanied by arrhythmias (irregular heartbeat) or ischemia/infarction (i.e., heart attack). Hypertension (high blood pressure) and hypotension (low blood pressure) may occur. Cognition and memory impairment, specifically immediate post-treatment disorientation, anterograde memory impairment and retrograde personal (autobiographical) memory impairment. Device malfunction: Faulty hardware, software or accessories (electrodes) or improper use may cause electrical hazards, such as the risk of excessive dose administration, prolonged seizures, and skin burns. Physical trauma: Injury from unconscious violent movements during convulsions (i.e., when drugs administered with the procedure to quell the convulsions fail). Manic symptoms: ECT treatment may result in the development of hypomanic or manic symptoms. Prolonged or tardive (delayed) seizures may ensue, and status epilepticus (continuous unremittent seizures) may occur if prolonged seizures are not properly treated. Pulmonary complications may result, such as prolonged apnea (no breathing) or inhalation of foreign material, such as regurgitated stomach contents. One has to wonder, then, why has such a possibly deadly device been allowed for decades to be utilized and never undergone clinical trials for safety and efficacy? Further, from what source will the patient obtain a “detailed summary of clinical testing pertinent to the use of the device…”? 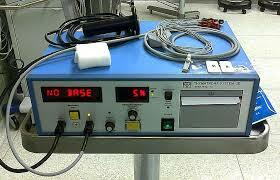 Clinical testing has never occurred on the devices. In essence, the FDA believes ECT machines now will be safe and effective simply by virtue of several “special controls.” The “controls” only include labeling provisions (additional disclosures and instructions being provided to physicians and would-be patients), establishing a few “technical parameters,” and implementing a few points to ensure devices don’t malfunction. At the same time, the FDA is admitting that it has allowed millions of Americans to be subjected to electroshock without “special controls,” thereby willfully putting people at risk—a fact that warrants Congressional investigation into both the FDA’s failure to protect the people it serves and any conflicts of interest the federal drug agency has with the ECT device manufacturers or APA that may have encouraged this abuse. Department of Health and Human Services, Food & Drug Administration, “Neurological Devices; Reclassification of Electroconvulsive Therapy Devices Intended for Use in Treating Severe Major Depressive Episode in Patients 18 Years of Age and Older Who Are Treatment Resistant or Require a Rapid Response; Effective Date of Requirement for Premarket Approval for Electroconvulsive Therapy for Certain Specified Intended Uses,” Federal Register, Vol. 80, No. 249, 29 Dec 2015, Proposed Rules, 21 CFR Part 882 [Docket No. FDA–2014–N–1210], https://www.gpo.gov/fdsys/pkg/FR-2015-12-29/pdf/2015-32592.pdf.